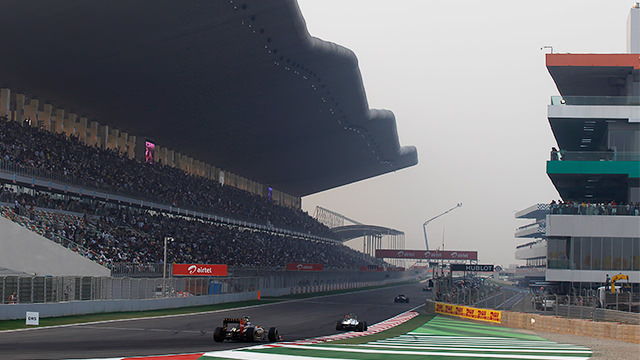 Formula One Management chief Bernie Ecclestone has confirmed that the Indian Grand Prix will be off the calendar in 2014, due to make a return the following season. Although there are some unhappy teams and drivers due to tax issues on entering the country, the move is reportedly not about that, but more a scheduling conflict. Organisers of the race, Jaypee Group, have given in to requests from Bernie to host the race at the beginning of the year, to fit in with the flyaway schedules early on in the season. The switch would mean moving from October time to earlier in the season, March or April, and it was agreed that to host a late race in 2014 and an early one in 2015 would see two Indian GPs too close together - within six months of each other.